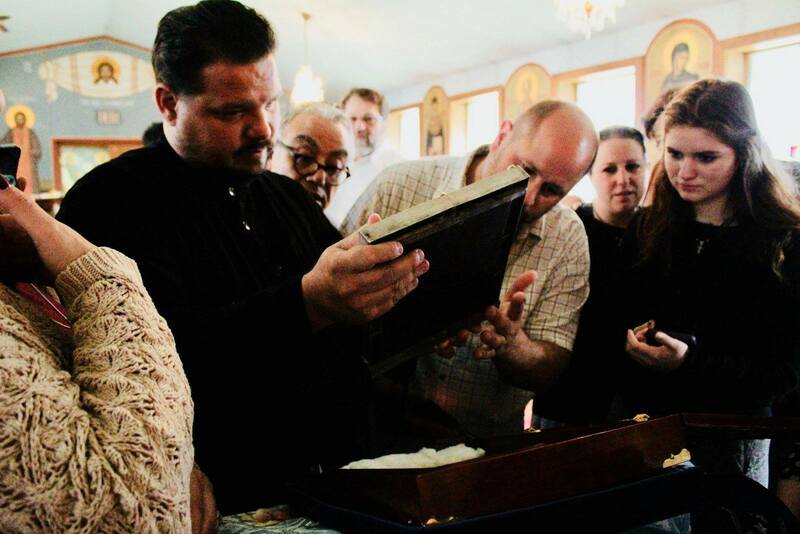 On Sunday, October 7, St. Innocent of Irkutsk parish in Redford, MI was blessed with a visit from the Hawaiian Wonderworking Myrrh-Streaming Iveron Icon of the Mother of God. 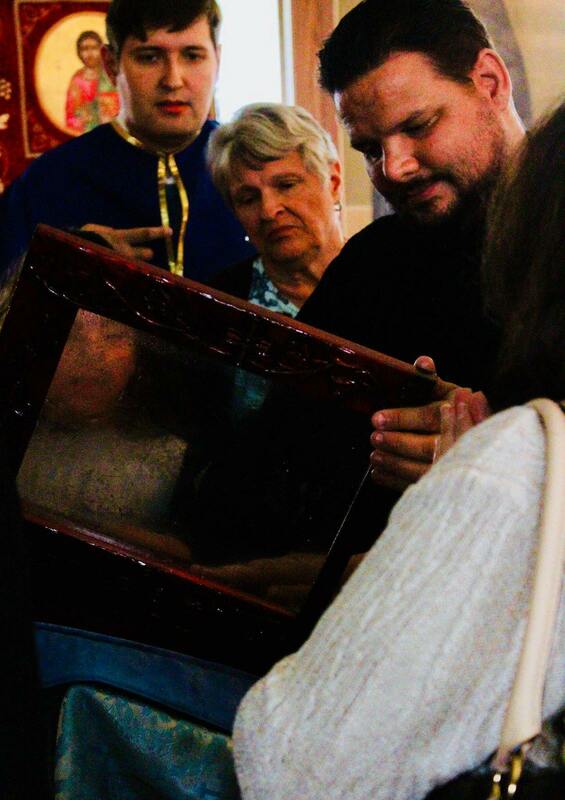 Subdeacon Nectarios, the guardian of the Holy Icon, arrived with the Mother of God just prior to the start of Liturgy and was greeted with rose petals by young children of the parish. 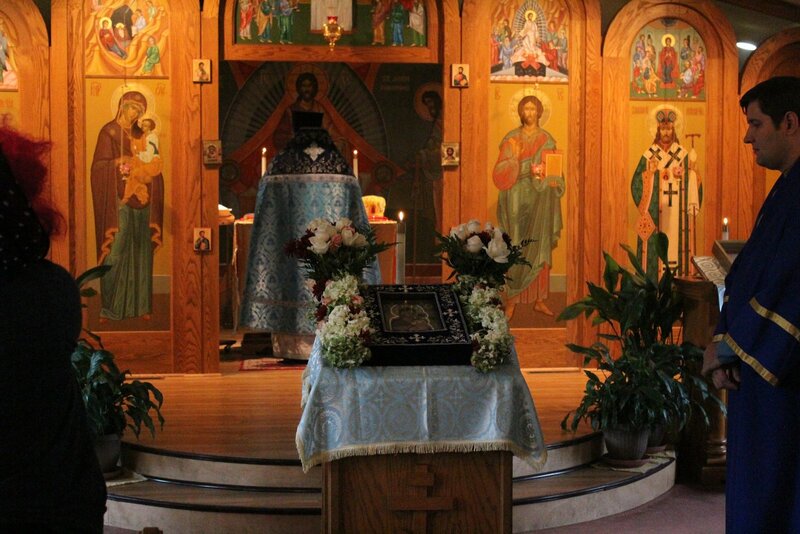 Following Liturgy, a Short Moleben to the Miraculous Iveron Icon was served. 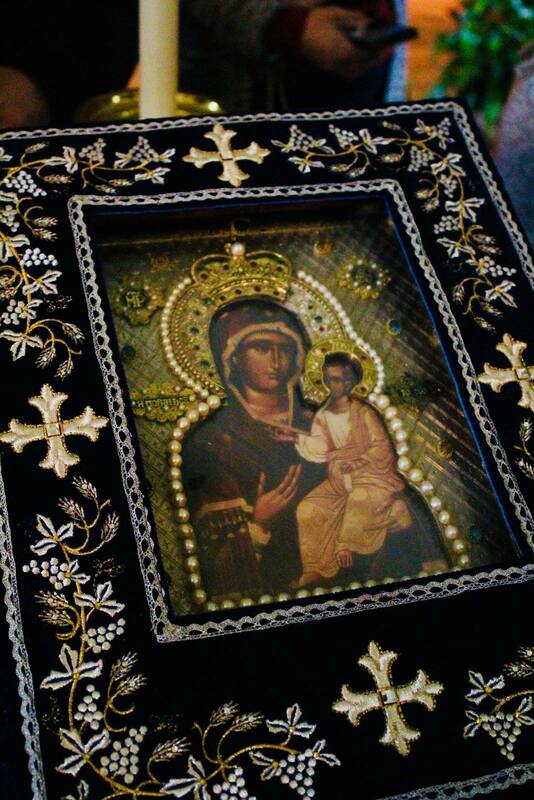 Thanks be to God, the temple was over-flowing with many faithful from the parish, as well those from other Orthodox jurisdictions and many non-Orthodox Christians, who came from great distances to venerate this Icon. 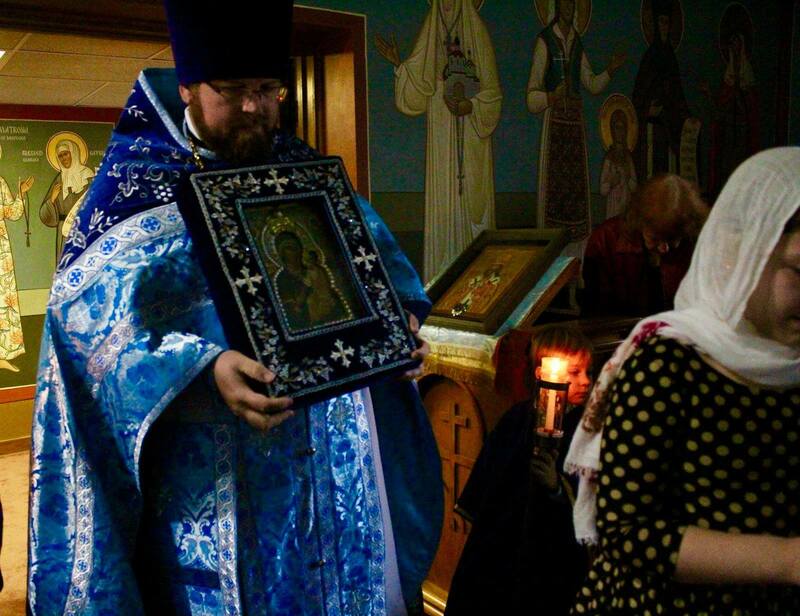 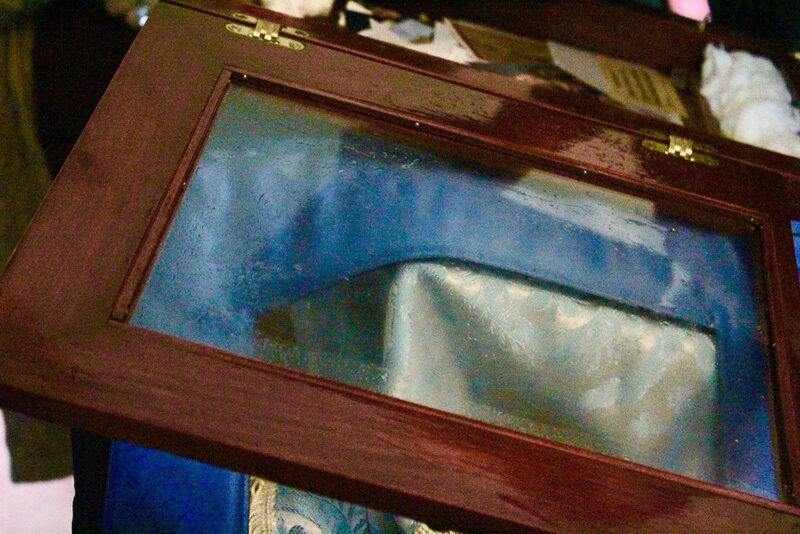 During the Liturgy and Moleben, the Holy Icon was actively streaming, and the church and the faithful were overwhelmed by the aroma and the Grace of God and His Mother. 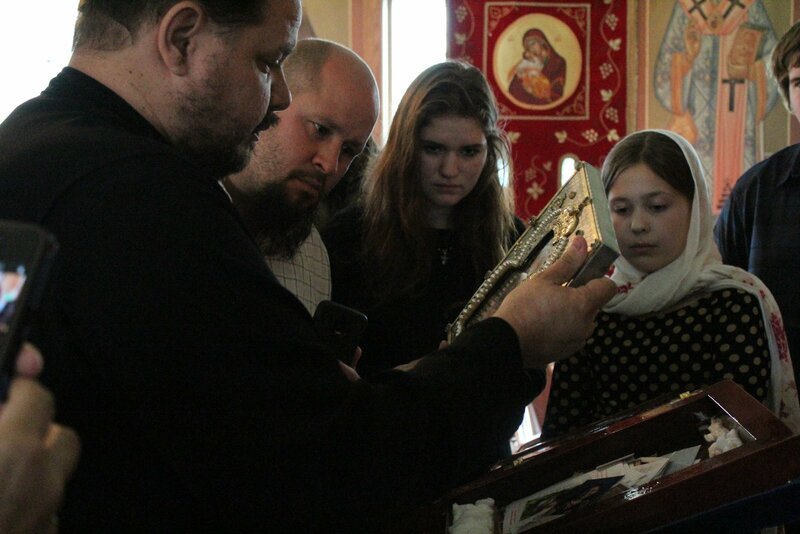 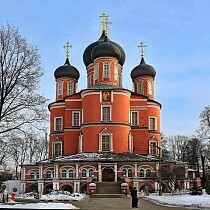 Both Divine Liturgy and the Moleben were served by Priest Joshua Genig, cleric of St. Innocent.